KidKraft 50-Piece Wooden Track Set Just $34.37! Down From $85! PLUS FREE Shipping! You are here: Home / Great Deals / Amazon Deals / KidKraft 50-Piece Wooden Track Set Just $34.37! Down From $85! PLUS FREE Shipping! Amazon is currently offering this KidKraft 50-Piece Wooden Track Set for just $34.37 down from $84.99 PLUS FREE shipping! 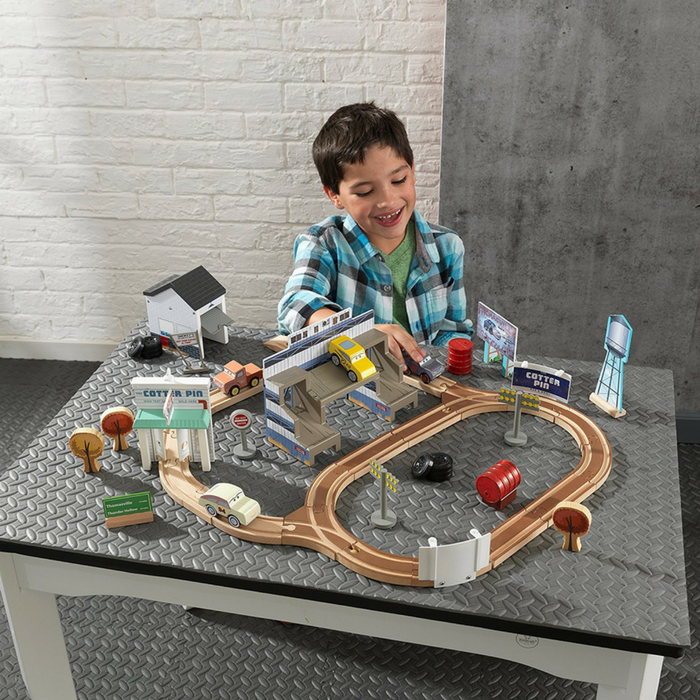 Enter the imaginative world of disneypixar cars 3 with the Thomasville track set. Totaling 50 pieces, this set includes track, scenery and four disneypixar cars 3 characters from Thomasville. With this sturdy wood design, imaginations will race! Great for Christmas gift!